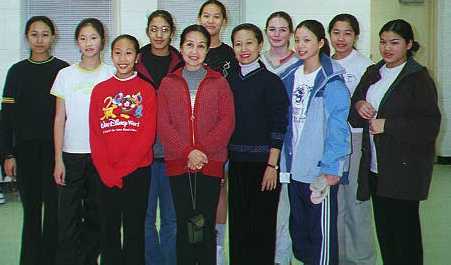 The Atlanta Chinese Dance Company presented the "Bamboo Forest of Yunnan" at the Gwinnett Civic Center. 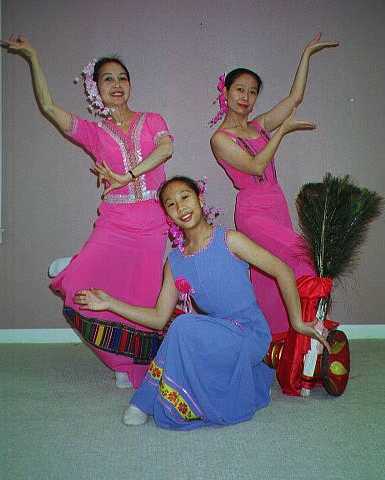 The performance consists of the Han and Dai ethnic group dances. The Han make up the largest ethnic group in the People's Republic of China. The Dai, who live primarily in Yunnan province, are one of the 56 ethnic minority groups found in the PRC. We have invited Tang Yebi, Professor of Dance from Yunnan province, a member of a Dai family, to choreograph a series of Dai dances. We believe this is the first opportunity that Atlanta audiences have had to see and learn about Dai dance in such detail. The style of the Dai is characterized by angular arms and "bouncy" knees. Yunnan province is located near Thailand and Burma, and the style of the Dai is similar to Thai and Burmese dance. The style of the Dai is characterized by angular arms and bouncy knees. 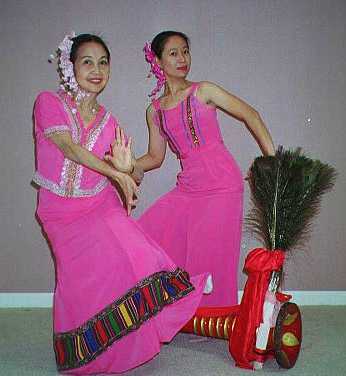 Due to the geographic area, the style of the Dai is similar to Thai and Burmese dance. There are seven Dai dance in the second half of the performance. The second half of the program begins in the temple, with a scene of married women sincerely praying to Buddha early in the morning. The Peacock Dance, which follows the temple scene, is the best-loved dance of the Dai. To the Dai people, the peacock is a symbol of good luck, happiness, beauty, and honesty. Next comes the Hat Dance. Since the Dai live in a sunny, tropical area, hats are worn in daily life. Water is integral to the in the river every day. This is the inspiration for the Dance of the Fish. Golden deer are also a symbol of good luck. The Flower Ring is uniquely meaningful for the Dai. The Dai people use the Flower Ring to depict the beauty of their homeland. The Water Splashing Festival is one of the most important festivals for the Dai people. It is a day where everyone splashes water on each other. It is believed that the wetter one gets, the more luck he or she will receive.